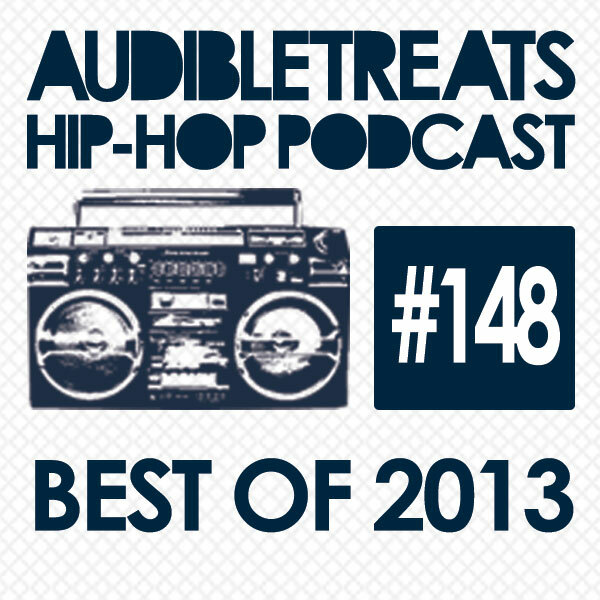 In this special edition year-end Audible Treats Hip-Hop Podcast, we bring you the hottest tracks from our artists of 2013. Mike WiLL Made It‘s radio hit “23” featuring Wiz Khalifa, Juicy J, and most talked-about woman of the year Miley Cyrus starts off the podcast, as well as the Vine-viral twerk soundtrack “Gas Pedal” by Sage the Gemini featuring Iamsu!. Next up is Hopsin‘s track “Old Friend,” featured in his “Ill Mind Of Hopsin 6” video which has amassed 5 million views to date. Detroit rapper Black Milk released the critically-acclaimed No Poison No Paradise this fall, featuring the much-blogged-about single “Sunday’s Best/Monday’s Worst.” After that comes “Gun Fever” from Bay Area legends Hieroglyphics, who dropped their brand new album The Kitchen this summer. Chuck Inglish’s bass-bumping “Drops” is next, followed by SL Jones‘ Metro Boomin-produced “Big Bank (No Ones).” SwizZz released his first solo single “Zoom In” this year, and the League Of Extraordinary Gz got dead prez on their track “Still Bigger.” Iamsu!’s HBK Gang make an appearance with the track “Go Crazy” from their mixtape Gang Forever. Chicago songstress Nylo made her debut in 2013 with her Indigo Summer mixtape, which featured the break-up track “Fool Me Once.” DJ duo Booty Fade made a chill remix to Erykah Badu‘s “On & On,” and rounding out the podcast is electro-trap queen Chippy Nonstop with “Pimpin’ Season.” Subscribe to our podcasts using the link below to stay up-to-date on the latest hip-hop tracks.